Welcome to this year's 19th issue of DistroWatch Weekly! Earlier this year we asked our readers which, if any, community editions of Ubuntu you would like to see reviewed. The poll results showed people favoured Ubuntu MATE and so this week we explore this versatile edition of Ubuntu. 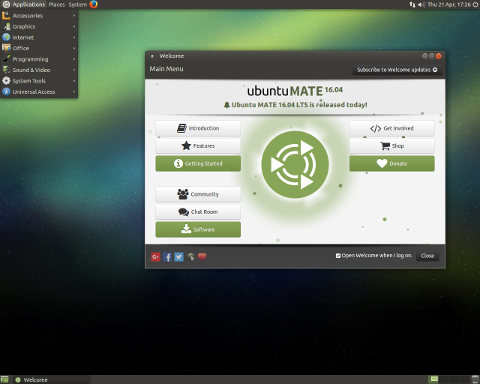 Read on to find out what is new in Ubuntu MATE 16.04 and how the distribution performs. This week we also talk about software license violations and what steps a person can take when they spot GPLed software being distributed in violation of its license. In our News section we cover the highlights of FreeBSD's latest Quarterly Report, look at changes coming to Linux Mint and compare flavours of Ubuntu. Plus we share changes in Debian's processor support and we talk about new security features becoming available to Linux users through the Firejail utility. In this issue we provide a list of the torrents we are seeding and cover the distributions released last week. In our Opinion Poll we ask if our readers prefer to perform fresh installations, live upgrades or off-line upgrades when it is time to update an operating system. 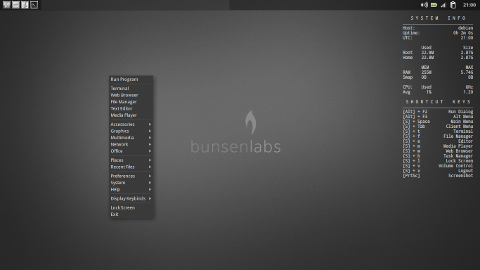 This past week we added a graphical representation of the Linux family tree to our website and we welcome the BunsenLabs Linux distribution to our database. We wish you all a wonderful week and happy reading! 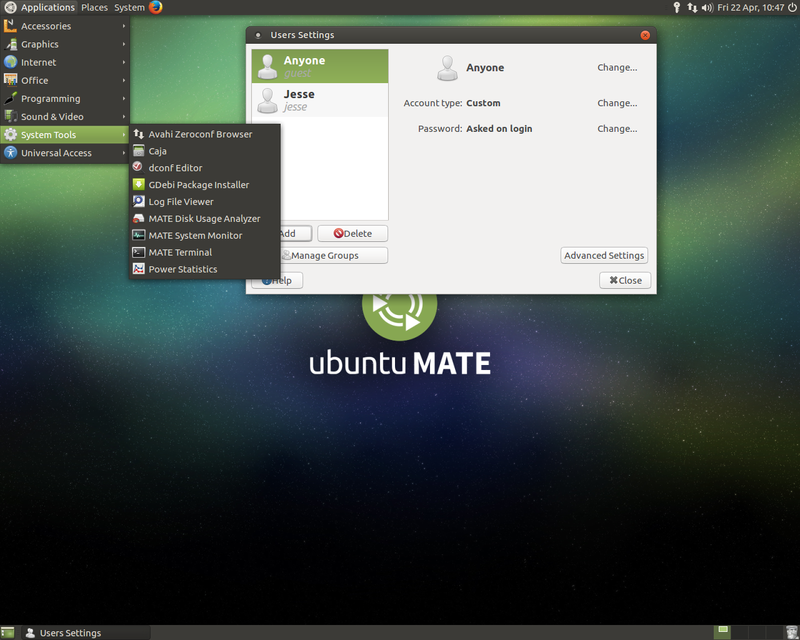 Ubuntu MATE is a community edition of the Ubuntu distribution. Ubuntu MATE provides users with the MATE desktop environment set up in a way that resembles Ubuntu's default look before the parent distribution started shipping with Unity as the default interface. This gives Ubuntu MATE, in my opinion, a look and feel that I have come to think of as the classic or traditional flavour of Ubuntu. The latest version of the distribution, Ubuntu MATE 16.04, includes several key software updates, including version 4.4 of the Linux kernel, MATE 1.12.1 and support for Snap packages. The distribution has also been working on Raspberry Pi support and can be run on Raspberry Pi 2 & 3 computers. Looking over the download options we find that, apart from Raspberry Pi images, the Ubuntu MATE project supplies us with downloads for 32-bit and 64-bit x86 computers and there are builds for PowerPC computers. Prior to downloading the distribution, I recommend looking over the list of known bugs, some of which affect the project's system installer. I did not see any major issues listed and so downloaded the 64-bit build of Ubuntu MATE which is 1.5GB in size. Booting from the Ubuntu MATE media brings us to a graphical screen where we are asked if we would like to try the distribution in a live environment or install the operating system. On this screen we can also select our preferred language from a list that appears on the left side of the display. At the bottom of the display there is a link to the project's release notes and clicking this link launches a web browser. On launch day, when I began this trial, the new release notes had not yet been published and the most recent documents were for Ubuntu 15.10 rather than the new 16.04 version. Taking the install option from the aforementioned screen launches the graphical system installer. The installer asks if we would like to download software updates during the installation process and whether we would like to install third-party software such as proprietary drivers, Flash and multimedia support. I selected Yes for third-party software and No for downloading updates. At this point the installer appeared to freeze for a few minutes and, just when I thought I would have to reboot to start the process over, I was asked if the installer should automatically partition my hard drive or if I would like to manually divide up the disk. The manual option presents us with a partition manager that is quite streamlined and I found it to be both fast and friendly to navigate. The partition manager gives us a nice, visual representation of our disk and makes it easy to add or remove partitions. Ubuntu MATE supports working with ext2/3/4, Btrfs, XFS and JFS file systems. While Ubuntu reportedly supports ZFS, in the Ubuntu MATE installer I did not find ZFS listed as a file system option. For people who do want to work with ZFS, there are ZFS kernel modules, userland utilities and FUSE packages in the default software repositories. I decided to use Btrfs during my trial. The following screens ask us to select our time zone from a map of the world, confirm our keyboard's layout and create a user account. We can click a box to enable encryption in our user's home directory. The installation completed quickly on my system, taking just over ten minutes. When the installer is finished we can reboot the computer to start using our new copy of Ubuntu MATE. Ubuntu MATE boots to a graphical login screen where we can sign into our account. Upon signing in we are presented with a Welcome screen. This screen actually offers us several resources. The first page provides us with links to a beginner's guide, a features list and links to community forums along with the project's social networks. Another button launches the project's software manager. I will come back to the software manager, Boutique, later. For now I am happy to report I was able to install some packages from the software manager and the interface was both simple and easy to navigate. In general, I quite like the Ubuntu MATE Welcome screen. It provides us with lots of resources and links to documentation. Plus the quick access to a friendly package manager is helpful. My only complaint was a visual one, specifically that the Welcome application features globs of green snow that fall across the screen. It's a bit distracting and not visually appealing in my opinion. With the Welcome screen dismissed we find ourselves in the MATE 1.12.1 desktop environment. The wallpaper is a mixture of the night sky with the Ubuntu MATE logo. At the top of the screen we find a panel that hosts the Applications, Places and System menus on the left and the system tray on the right. At the bottom of the display is another panel that acts as the task switcher. The desktop was very responsive during my trial and, personally, I found the default theme attractive. The dark colours offered both a nice frame for applications and a solid background for menu icons. Running Ubuntu MATE got off to a rough start for me. When I ran the distribution in a VirtualBox virtual machine I ran into two problems. One was that the distribution did not support VirtualBox modules automatically. I had to download VirtualBox guest packages from the distribution's repositories in order to achieve full screen resolution. By default, Ubuntu MATE did not power off completely when run inside VirtualBox, though installing the guest modules seemed to clear up that problem as well. Ubuntu MATE did not play well with my desktop computer either, but did so in a way I have not witnessed before. When booting off the live media, in either UEFI or legacy BIOS mode, Ubuntu MATE would start to boot, display the project's graphical splash screen and then turn off the video display. At first I thought the distribution had simply crashed, but a few seconds later I heard the familiar Ubuntu start-up sound, indicating the system had successfully booted. I found that while I was unable, across multiple boots, to get the system to display any visual output, I was able to use the keyboard to access the system and trigger events, such as making sounds or causing a reboot. This would indicate the system was mostly functional, but unable to display anything on the screen. 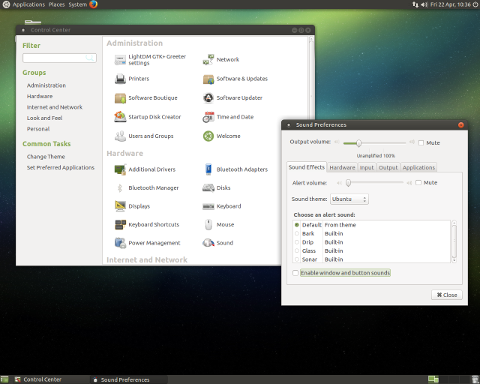 The distribution's odd behaviour prevented me from using Ubuntu MATE on my desktop computer and kept me focused on using the distribution in a virtual environment. Ubuntu MATE was stable in VirtualBox and required approximately 290MB of memory to sign into the desktop. The distribution's application menu supplies us with a nice collection of popular open source programs. Firefox with optional Flash support is included along with the Thunderbird e-mail software. We are given copies of the HexChat IRC client, the Transmission bittorrent software and the Pidgin instant messaging client. Ubuntu MATE ships with LibreOffice and the Atril document viewer. We also find the Brasero disc burning software, the Cheese webcam manager, the Rhythmbox music player and the VLC multimedia player. At install time we have the option of enabling media codecs, allowing us to play a wide range of multimedia formats. The distribution provides us with the Shotwell photo manager, the Eye of MATE image viewer and a document scanner. The application menu also provides us with an archive manager, calculator and text editor. Digging in further we find a process monitor, the Caja file manager and the dconf desktop configuration manager. Also available are the Deja Dup backup software, the Synapse program launcher and the Plank dock. To help us get on-line Network Manager is available. In the background we find the GNU Compiler Collection, systemd 229 and version 4.4.0 of the Linux kernel. There were a few entries in the application menu I thought were worth mentioning. The backup application, Deja Dup, is a very friendly backup manager and possibly the nicest tool I have encountered for creating and restoring backup archives. The program makes setting up scheduled backups wonderfully easy. The software only has a few screens and reasonable defaults. It also helps us save backup archives to a variety of locations and restoring archives is a click-click-done process. Synapse is a program I may have used before, but I had forgotten about it.. Synapse is basically a "run program" dialog box with filtering options. It's not fancy, it just lets us type in commands we want to run and it works. Plank was another menu entry which caught my attention. I was not sure what Plank did and so I checked its description which reads "Stupidly simple" and is not at all helpful. Plank is a dock that sits at the bottom of the screen and we can launch programs from it. Plank tends to stay out of the way, with the program's default settings, hiding behind active application windows. This makes it fairly hassle free and possibly useful if we want to have a quick-launch bar at the bottom of the desktop. 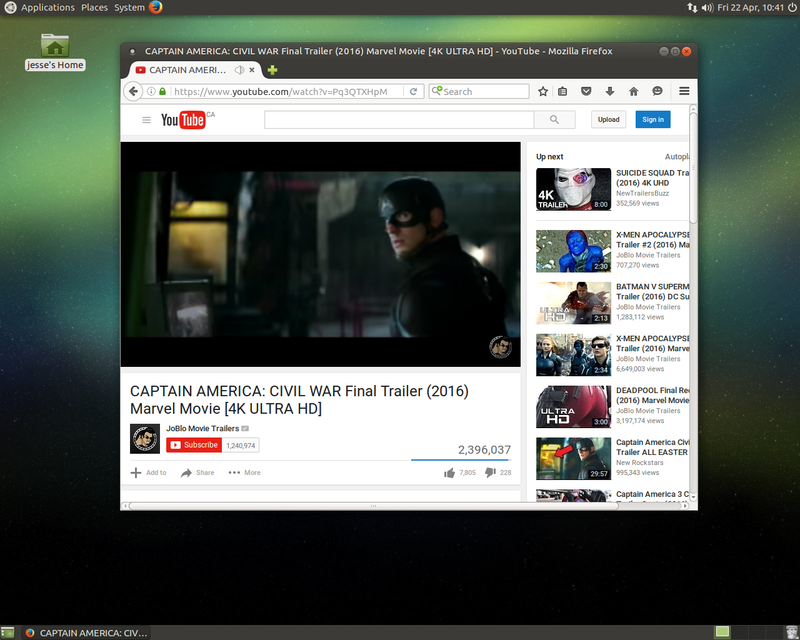 One of the nicer features of Ubuntu MATE is the distribution's Control Centre. This panel gives us a central point from which to configure both our desktop environment and the underlying operating system. From the Control Centre we can set up printers, configure the network connection, tweak the look and feel of the desktop and select which applications will run when we login. The Control Centre also features modules for working with user accounts, setting the system clock, configuring the firewall and updating software packages. Each of the configuration tools worked well for me. They are generally newcomer friendly and responsive. One tool in particular I was happy to use was the Sound configuration application. By default the MATE desktop played sound effects when I changed settings or closed windows and that got annoying quickly. The Sound module gave me a way to disable desktop sound effects. A few other configuration tools stood out during my trial. The graphical firewall manager, for example, caught my attention. The gufw program has always struck me as being a good, basic firewall utility that keeps things very simple. The latest version adds a few features. For example, we now have the ability to switch between profiles, allowing us to have one set of firewall rules for work, another for home and a third for public spaces. This can be useful when we are using a laptop or other mobile device. Logging is more up front too and available in a tab. To balance these new features and the complexity they add to the interface, a new tab has been added to gufw that provides documentation explaining the various controls. I had mixed feelings about the new arrangement. I think gufw's strength has always grown from its extreme simplicity, so I was not thrilled with the extra features. However, I am very happy to see beginner friendly documentation added and I am pleased to report the profiles feature does work. All in all, I think the changes are generally positive. Setting up printers in Ubuntu MATE was very straight forward, involving about three mouse clicks. This year I have encountered a handful of distributions which featured a printer manager that would not work because the necessary background services were not enabled and, for a new user, there was no obvious way to enable printer services. Ubuntu MATE works with printers out of the box with no need for installing or enabling anything extra and I appreciated the ease with which I could add my printer to the system. 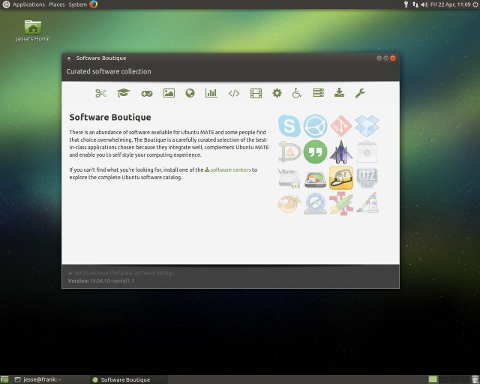 Ubuntu MATE ships with a graphical front-end for software management called Boutique. Boutique is arranged with icons representing software categories along the top of the window. Popular desktop applications in each category are listed below this top bar. 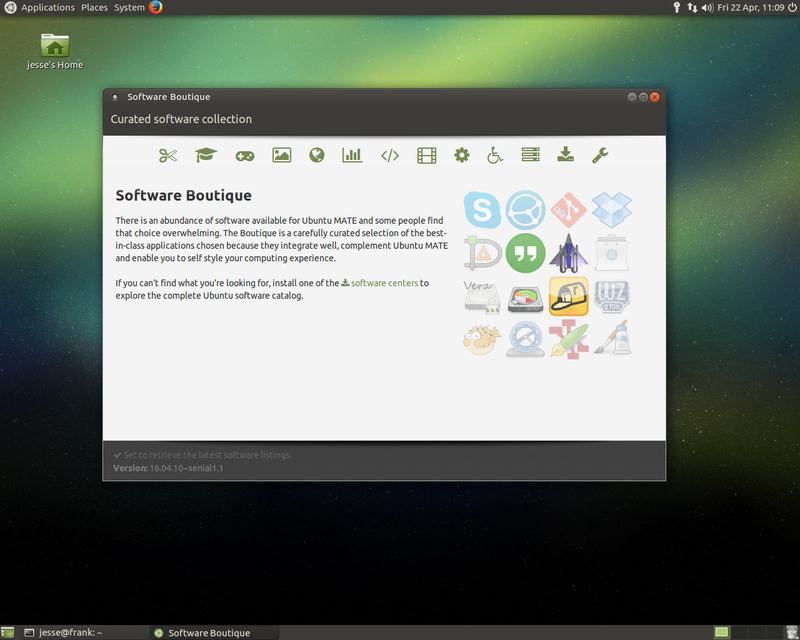 Each application in Boutique is accompanied by the program's icon and a paragraph describing its function. I like that some descriptions include an "alternative to" tag. For example, the GNU Image Manipulation Program is described as an alternative to Adobe Photoshop and the Evolution e-mail client is described as an alternative to Microsoft Outlook. This gives newcomers a point of reference that I think will be useful. After each package description is an Install button we can click to download the application. Once a new program has been installed the Install button changes to become a Remove button for the application. I found Boutique was fairly quick to respond to input and allowed me to continue browsing software categories while installations happened in the background. The one drawback to using Boutique appears to be that the program only provides us with access to a handful of programs in each category. If we want to access more niche applications or low-level packages, we will need to either use the command line APT utilities or install another package management front-end. The good news is that Boutique includes a category dedicated to providing us with other popular software managers such as Synaptic and the Ubuntu Software Centre. One of the features of Ubuntu 16.04 which has gained a lot of attention is Snap packages. Ubuntu MATE offers the snap command line package manager in the default installation. The snap package manager appears to have changed its command syntax a good deal since we reviewed it last year. Either that or the snap package manager which ships with Ubuntu MATE is entirely different from the Ubuntu Snappy package manager that was demoed last year. The snap command line help and the manual page did not offer much assistance in discovering the features of the snap package manager. We are provided with a list of supported commands, but little in the way of an explanation of how they work. There is also no documentation, so far as I can tell, on setting up or connecting to alternative software repositories. I found that snap connects to a small default repository of software that contains about twenty applications. Installing applications using snap places the new software in the /snap directory of our operating system. I tried a handful of available Snap applications and found that some, like the Links web browser, would work. Others, like the sshtron game and the calculator app, failed to load. At this point it seems Snap packages are still very much in the early development stages and not ready to be accessed by end users. Earlier I mentioned that while ZFS support is not included in the system installer directly, curious users can find ZFS packages in the default repositories. I installed the available ZFS kernel module and userland utilities and confirmed they can be used to create or import ZFS storage volumes. The memory required was minimal, putting my total RAM usage just over the 300MB mark. My experiment with Ubuntu MATE got off to a rocky start due to an unusual hardware issue and less than stellar support for running the distribution in VirtualBox. However, with those initial hurdles aside, I was quite happy with the distribution. Ubuntu MATE 16.04 offers a very light and responsive desktop while still providing modern conveniences. The project runs on a range of hardware (common desktop and laptop computers, Raspberry Pi devices and PowerPC computers) and offers just about everything desktop users will probably want right from the start. The new Welcome screen provides us with lots of friendly resources and I like the Boutique package manager, I think it is very newcomer friendly and Boutique makes it easy to access more powerful package manager front-ends. The snap package manager was a bit of a disappointment as the technology is still limited and not friendly, but at least we get to see a preview of what Canonical has planned with Snap packages. I like the distribution's Control Centre and Deja Dup backup utility, both are easy to use and powerful. I am also happy to see ZFS gain more mainstream support. We may not yet be able to set up ZFS volumes from the Ubuntu MATE installer, but having the packages in the default repositories is a step in the right direction. Despite my initial problems getting Ubuntu MATE installed and running smoothly, I came away with a positive view of the distribution. The project is providing a very friendly desktop experience that requires few hardware resources by modern standards. I also want to tip my hat to the default theme used on Ubuntu MATE. The desktop's darker backgrounds with white text and colourful icons were much easier on my eyes than the transparent or grey-on-grey themes some projects use. Seeing full, detailed icons rather than vague, abstract shapes was a nice touch too. I feel too many modern themes look like they are designed to intentionally cause eye strain and Ubuntu MATE's high-contrast, colourful look made it easier for me to read the menus and find the controls I wanted to access. The FreeBSD project has released a Quarterly Report for the first three months of 2016, providing a list of completed and on-going tasks related to the FreeBSD operating system. Some of the key sub-projects include implementing liberally licensed ELF utilities, separating GPLv3 components into a separate source tree, the implementation of a new I/O scheduler and new translations of the FreeBSD Handbook. The Ports tree continues to grow slowly, with 25,000 ports available, being maintained by over 100 committers. "As of the end of Q1, the ports tree holds a bit more than 25,000 ports, and the PR count is below 1,900. The activity on the ports tree remains steady, with almost 7,000 commits performed by around 120 active committers. On the problem reports front, the encouraging trend observed during the previous quarter is confirmed, with again a significant increase in the number of PRs fixed during Q1. Indeed, almost 2,400 reports were fixed, which allows us to go below the threshold value of 2,000 open PRs." All the details are available in the report. The next version of Linux Mint is expected to launch later this year with the beta for Linux Mint 18 tentatively scheduled for June 2016. The upcoming release will feature a couple of important changes: xapps and a new way multimedia codecs will be handled. Mint's xapps are GNOME-based applications that are designed to provide a consistent user experience across multiple desktop environments. "April saw the releases of Cinnamon 3.0 and MATE 1.14 which will be featured in the upcoming Linux Mint 18. As part of the "xapps" initiative, which aims to produce cross-desktop and cross-distribution software, we also released the following applications: A media player based on totem, called xplayer. A text editor based on pluma, called xed. A picture viewer based on eog, called xviewer. A document reader based on atril, called xreader. These 4 applications will be featured as default in Linux Mint 18, where they will replace totem, gedit, pluma, eog, eom, evince, atril and possibly ristretto." Linux Mint 18 will no longer provide separate, codec-free installation media for OEM and magazine distribution. Instead, the distribution will ship without multimedia support while making it easy for users to acquire media codecs during the initial installation of the operating system. "OEM installation disks and NoCodec images will no longer be released. Instead, similar to other distributions, images will ship without codecs and will support both traditional and OEM installations. This will reduce our release cycle to 4 separate events and the production and testing of 12 ISO images. Multimedia codecs can be installed easily: From the welcome screen, by clicking on "Multimedia Codecs", or from the main menu, by clicking on "Menu"->"Sound and Video"->"Install Multimedia Codecs", or during the installation process, by clicking a checkbox option." Additional information on the upcoming release of Linux Mint 18 can be found in the project's monthly newsletter. Following the release of Ubuntu 16.04 and the distribution's many community editions, Hectic Geek decided to explore the differences between the various community flavours. Apart from shipping with different desktop environments, are there significant stability or performance gains to be had with one edition compared to the others? The Hectic Geek article explores Ubuntu, Kubuntu and Ubuntu GNOME and compares the installation processes and performance of each distribution. 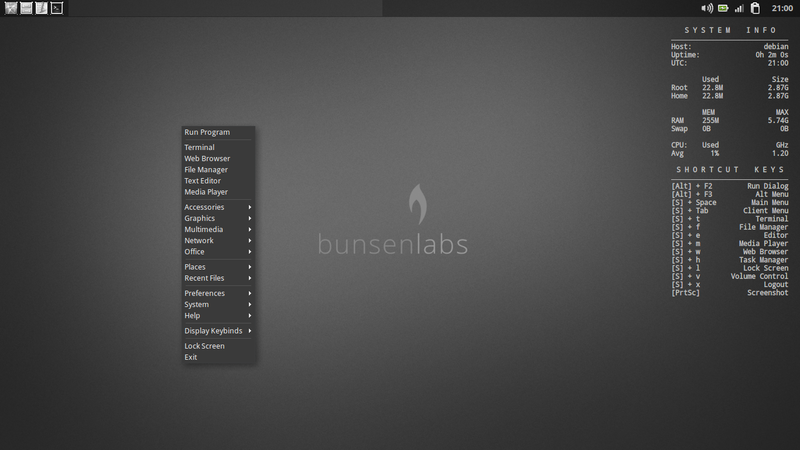 "The main focus of an Ubuntu LTS is stability and performance. And in that regard, Ubuntu 16.04 LTS did really well. And performance-wise, the memory increase is the major negative element. Other than that, it's very stable and as mentioned in my original review, many of the subtle issues have also been addressed as well." The Debian project supports a wide range of hardware architectures, including 32-bit x86 CPUs. Changes are happening in Debian's development branches which will make older versions of the 32-bit architecture obsolete. Ben Hutchings provides the details: "Last year it was decided to increase the minimum CPU features for the i386 architecture to 686-class in the Stretch release cycle. This means dropping support for 586-class and hybrid 586/686 processors. (Support for 486-class processors was dropped, somewhat accidentally, in Squeeze.) This was implemented in the Linux kernel packages starting with Linux 4.3, which was uploaded to Unstable in December last year. In case you missed that change, GCC for i386 has recently been changed to target 686-class processors and is generating code that will crash on other processors. Any such systems still running Testing or Unstable will need to be switched to run Stable (Jessie)." A list of processors which will no longer be supported after Debian "Jessie" can be found in Hutchings' mailing list post. Firejail is an application and service sandboxing utility which isolates programs for added security. We previously talked about Firejail and FireTools in an earlier issue of DistroWatch Weekly. The next version of Firejail will include a significant new feature: X11 sandboxing support. The X11 sandbox will protect users against malware that includes key loggers and screen shot stealing code. "Firejail X11 sandboxing support is built around an external X11 server software package. Both Xpra and Xephyr are supported ('apt-get install xpra xserver-xephyr' on Debian). To allow people to use the sandbox on headless systems, Firejail's compile and install is not dependent on Xpra or Xephyr packages. The sandbox replaces the regular X11 server with Xpra or Xephyr server. This prevents X11 keyboard loggers and screenshot utilities from accessing the main X11 server." Details can be found on the Firejail blog. Legal-eagle asks: When I see software being used in violation of its license (ie GPL software sold without its source code), what should I do? Is there some place I can report it, like the Free Software Foundation? DistroWatch answers: There are a few organizations which offer advice, protection and legal assistance in the case of free and open source license violations. However, before contacting one of these organizations, I recommend making sure the person or company distributing the software really is violating their license. As I have discussed before, software licenses such as the GPL are frequently misunderstood. Often times people think that free software means there is no monetary cost associated with the product, or that people who sell GPL licensed software must provide their source code for free to the public. These are common misunderstandings and I recommend reading up on the license in question prior to reporting a violation. Another thing we might do is contact the open source project whose license is being violated. Some projects may look into the situation and decide to handle the matter themselves. Others might examine what has happened and decide they are okay with the situation, in which case there is not much reason to proceed further. Assuming we have confirmed a license violation is taking place, the Open Source Initiative website mentions three organizations we can contact. The first is the Software Freedom Law Centre which offers legal advice to free and open source projects. They also have mailing lists and an IRC channel where people can ask for advice. The next option is the GPL-Violations website. The organization helps to bring companies into compliance with the GPL and, whenever possible, finds a way to encourage compliance without legal action. There is an e-mail address at the bottom of their page people can use to report GPL violations. Finally, if the license violation affects one of the members of the Software Freedom Conservancy then a report can be made to the Conservancy. The Simplicity Linux project, a Puppy-based distribution, has announced the launch of a new stable release. The new version, simplicity Linux 16.04, is available in three flavours: Mini, Desktop and X. The Mini and Desktop editions are available in 32-bit builds while the X edition provides a 64-bit build. "As with recent versions of Simplicity, it is based on the excellent LXPup and uses LXDE as the desktop environment. Mini and Desktop come with the 4.0.4 kernel, and X comes with the 4.4.5 kernel. As with our previous releases, Mini (Previously Simplicity Linux Netbook Edition) is our heavily cut down version. It comes with Flash pre-installed, the latest version of Firefox, and web versions of Spotify, Dropbox, Gmail, Google Docs and many other applications. 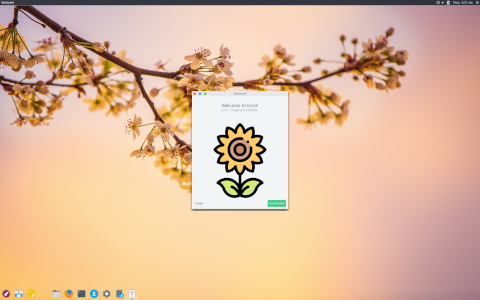 Desktop is our fully featured distribution, based on the same base as Mini but rather than web based applications; it comes loaded with Flash, Firefox, Thunderbird, LibreOffice, GIMP, and MPlayer." Additional details can be found in the release announcement. Sam Geeraerts has announced the release of a new version of the gNewSense distribution. gNewSense is based on Debian and is assembled using free and open source software exclusively. The distribution is sponsored by the Free Software Foundation. The latest release, gNewSense 4.0, is available in three architectures (i386, mipsel and x86_64). "I hereby announce the release of gNewSense 4, codenamed Ucclia. It's based on a solid Debian, modified to respect the Free Software Foundation's and is available for three architectures: i386, amd64 and mipsel (Lemote Yeeloong). Torrents for the live DVD images are available, as well as direct downloads and netboot images." Links and further information can be found in the mailing list announcement and following thread of e-mails. When installing a new version of an operating system, there are a few ways we can go about getting the latest release. Some of us are inclined to wipe our existing operating system and start fresh with a new version. Others may wish to perform an off-line upgrade, allowing the system installer to upgrade packages. A third option is to perform a live upgrade, updating the operating system while it is in use. This week we would like to know which method our readers use when upgrading to a new version of their distribution. Do you perform fresh installations, off-line upgrades or live upgrades? Using the DistroWatch database, one inspired developer has created a series of scripts which assembles a family tree of Linux distributions, showing the life spans and relationships between projects. We have created a new page which displays the visual family tree of Linux distributions. This image can be found through our sitemap under the Resources section. In other news, we have updated our Frequently Asked Questions page. We tend to receive a lot of questions about open source, distributions, and licensing. The frequently asked questions page will provide our answers and links to resources we hope will be useful. This page has been added to our sitemap in the DistroWatch.com and meta information section. ProxLinux. ProxLinux is a Lubuntu-based distribution which features the Openbox window manager as its default user interface.